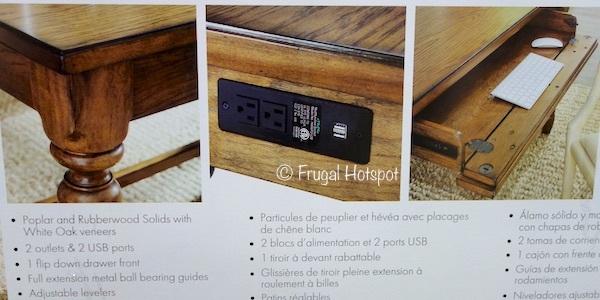 This desk includes a power strip with usb power to charge your laptop or power up your lamp or desk clock. 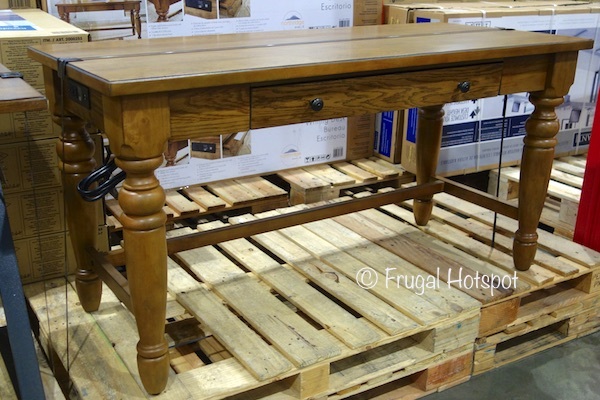 Select Costco locations have the Northridge Home ‘Philippe’ Writing Desk on sale for $199.99 (after instant savings), now through February 19, 2019. That is $50 off Costco’s regular price of $249.99. While supplies last. Item #1900102. 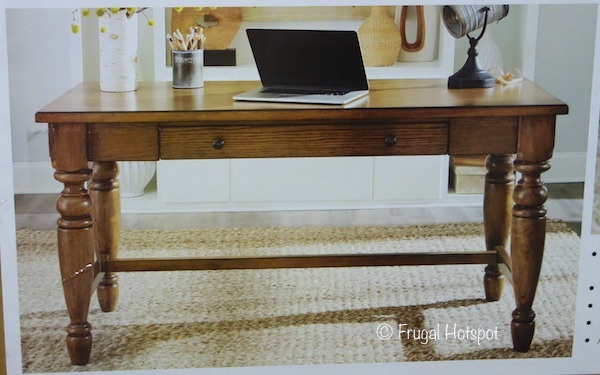 This beautiful writing desk has a warm hazelnut finish and a flip down drawer. It does have mixed reviews online. Some reviews are reporting trouble with their unit because the holes and the screws don’t match. • Poplar and Rubberwood Solids with White Oak veneers. • 2 Power outlets and 2 USB ports. • 1 Flip down drawer front to store your keyboard and office supplies. • The drawer features full extension ball bearing guides. • Fitted with adjustable levelers. This product can expose you to Benzene, which is known to the State of California to cause cancer and birth defects or other reproductive harm. MFR #HO1002S17. Price and participation may vary so it may not be available at your local Costco or it may not be on sale at your local Costco or it may be a different price at your local Costco. Prices & sales dates may change at any time without notice. Photos may not be a perfect representation of the product.